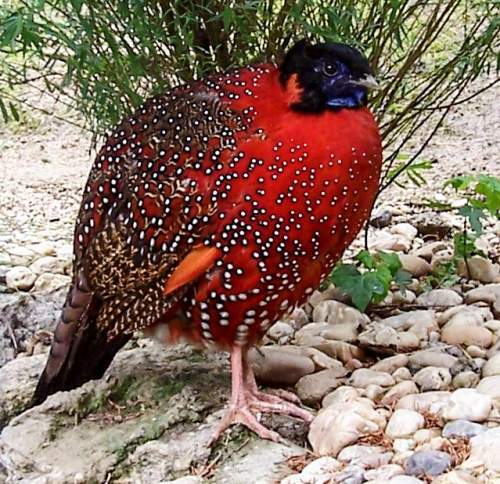 The Satyr tragopan (T. satyra) belongs to the family Phasianidae under the order Galliformes. 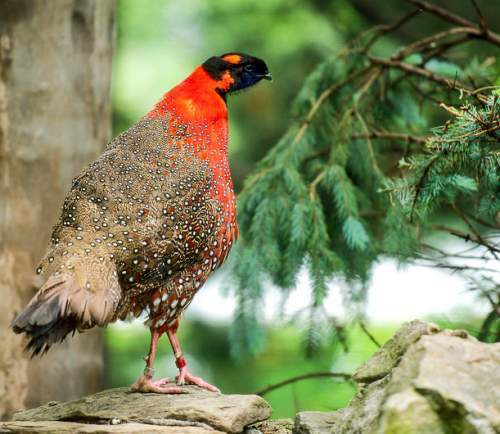 The Phasianidae is a family of ground-living birds like partridges, tragopans, pheasants, peafowls and chickens. 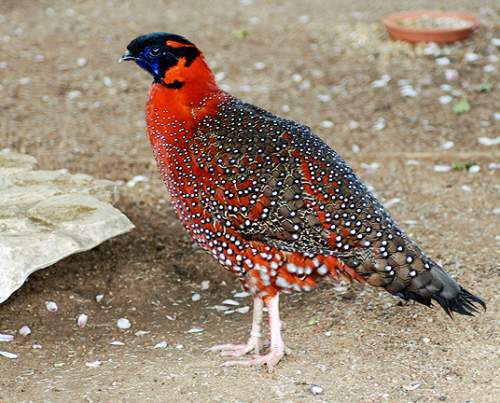 The family Phasianidae was first introduced by Thomas Horsfield M.D. (May 12, 1773 – July 24, 1859), an American physician and naturalist, in the year 1821. 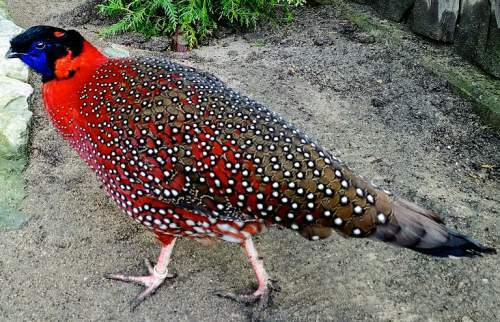 The family Phasianidae is tentatively divided into four subfamilies, viz., Perdicinae, Meleagridinae, Phasianinae and Tetraoninae. 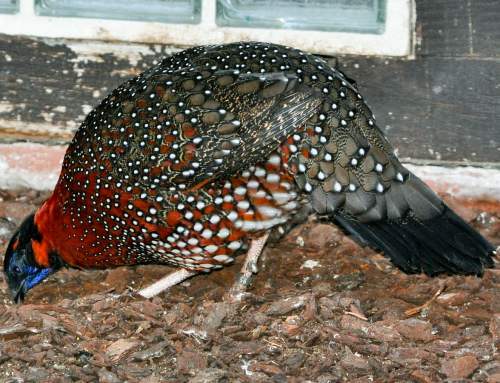 The subfamily Phasianinae was described by Thomas Horsfield. 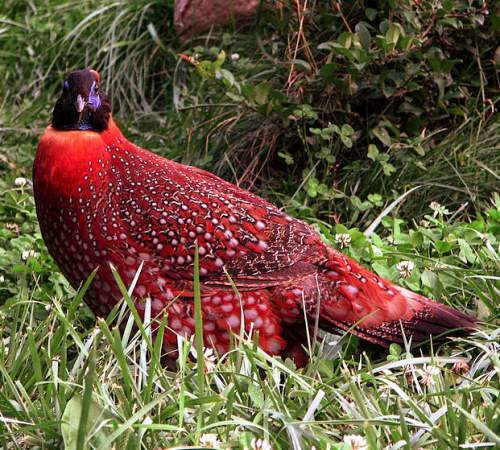 The subfamily Phasianinae comprises sixteen genera, including genus Tragopan. 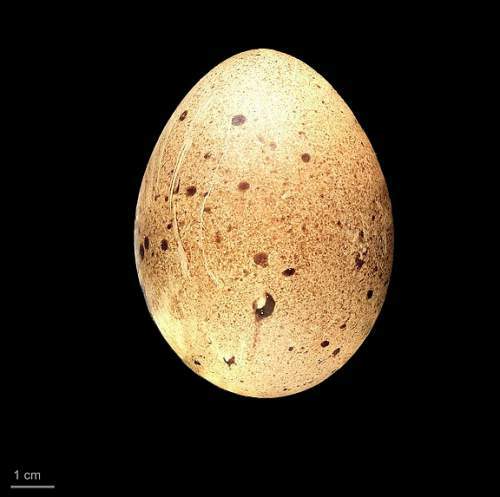 This genus was introduced by Jean Léopold Nicolas Frédéric (23 August 1769 – 13 May 1832), a French naturalist and zoologist, in the year 1829. 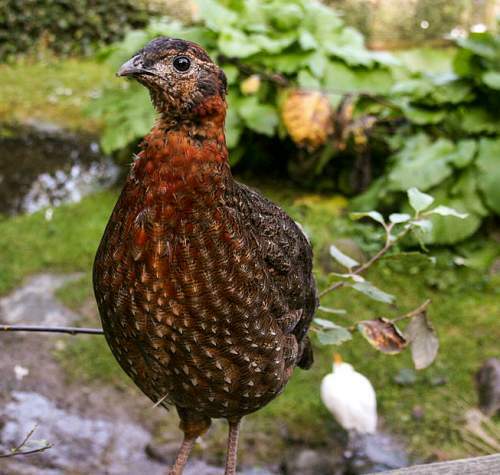 This genus is polytypic and comprises five species viz., T. melanocephalus, T. temminckii, T. blythii, T. caboti and T. satyra. 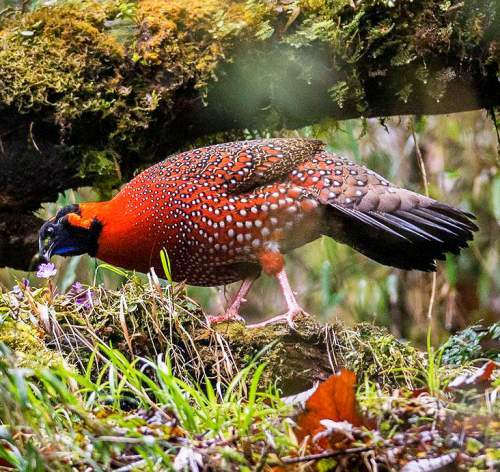 Current topic in Birds of India: Satyr tragopan - T. satyra photos.